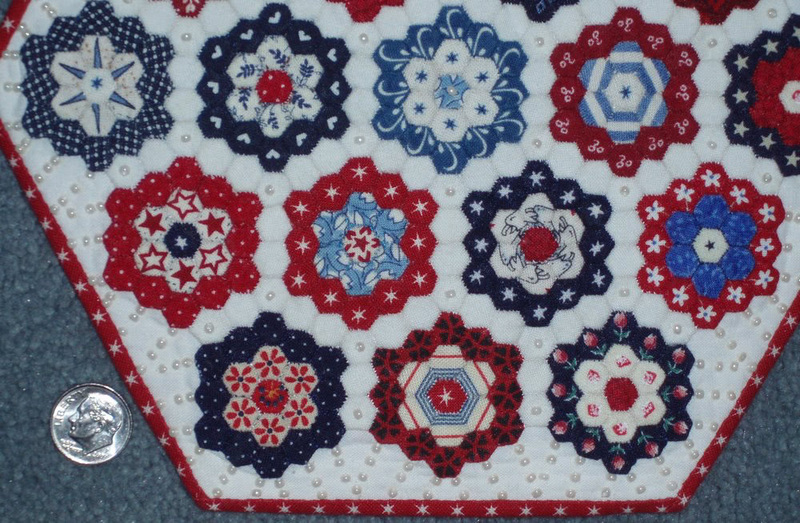 Peggy sent me these more detailed photos of her mini quilt to share. You can click on each photo to view a larger version. About 2 wks before 9-11 I took a mini class with Carol Henry. 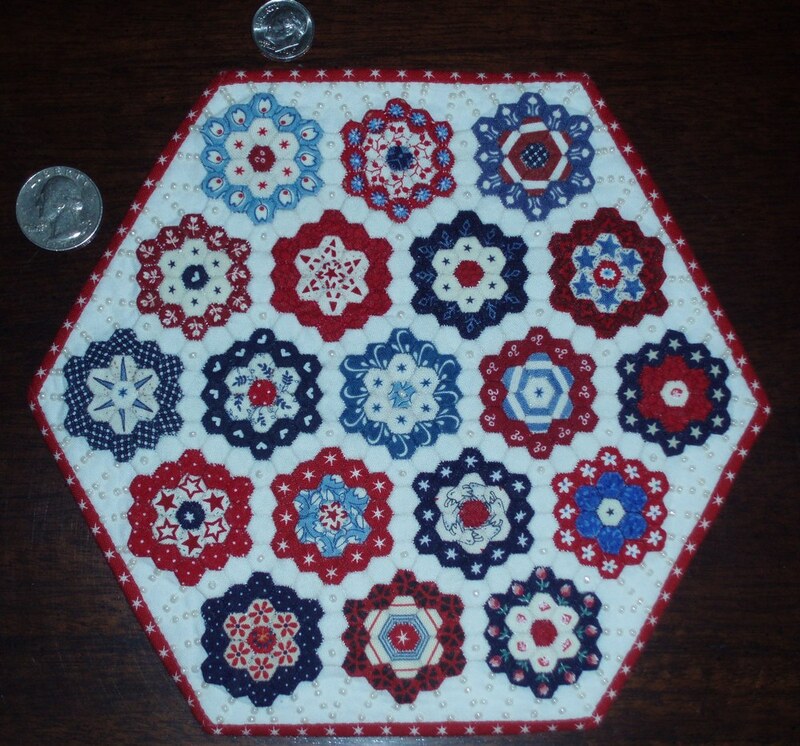 I made 5 tiny grandmother’s flower garden blocks of various colors. 3 of them were red, white and blue. 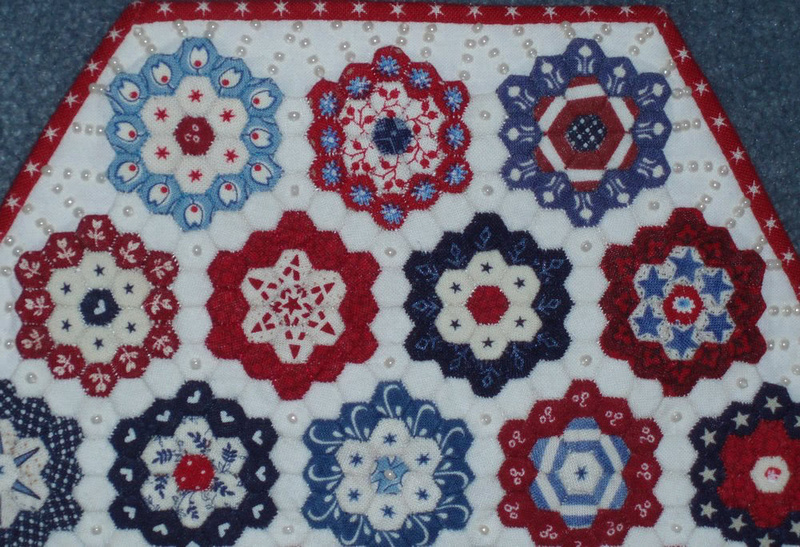 Over 2 yrs later I was inspired to finish the quilt as my dedication to 9-11. 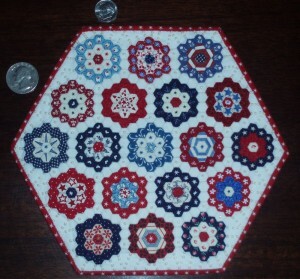 Hexagons are 1/4″ wide & fussy cut. Total time 300+ hr. To see the scale, Peggy included a quarter and a dime in the photos. 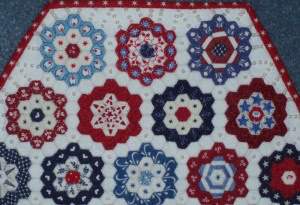 I can safely say I will never have the patience to accomplish such a quilt. 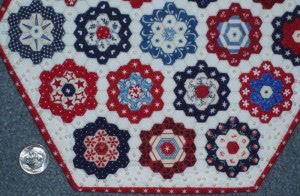 Thanks Peggy for sharing these detailed photos. Thank you Liesbeth. It was an exciting race. You received over 200 votes as well. Congratulations! Greetings from Florida.